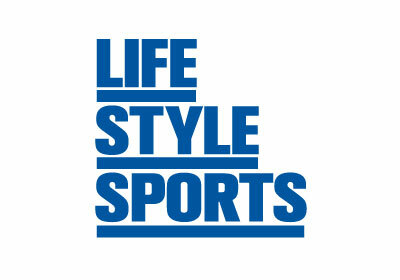 Sports Style – What does Life Style Sports mean? Sports Style covers all the more fashion oriented product from street style brands like adidas Originals, Nike Sportswear, Converse, Fred Perry, Puma 7Grand and Penguin and many more, with new brands continuously added! Sports Performance – Covers all their Fitness, Running, Rugby, Football, Swim & GAA categories. Life Style Sports stock the best global performance brands on the market like Nike, adidas, Under Armour, Asics, Canterbury, New Balance, Puma, Umbro and Reebok. Life Style Sports passionately believe if you’re training or taking part in sport, that you should be wearing the right footwear and clothing. Why? Be it training or competing, with modern technology in sports, it is important to have, and to have the confidence that you have, the very best technical features to what you wear and Life Style Sports passionately believe that this should be done while looking good which in turn supports the confidence you need to perform to your best in whatever goals you set yourself. Stuff Life Style Sports is Proud Of – In the two year’s, Life Style Sports has worked with their chosen charity, the Irish Children’s charity Barnardos as have all their Life Style Sports Facebook fans to raise over €50,000 to Barnardos with more fundraising to come! Life Style Sports are the sponsors of the Mark Pollock Run in the Dark, together we are energising a community to think about the issue of spinal injuries. For more information on this visit runinthedark.org. • It’s a fully owned Irish company… Yes 100%! • In just 3 years over 15,000 twitter followers and 158,000 Facebook fans have begun following a brand that is passionate about bringing them the best global sports brands.